North American falconry is some of the best in the world, but the standards, laws and strong community that make our falconry possible didn’t happen by accident. It has taken a concerted effort on many levels. The North American Falconers Association (NAFA) has played a vital role in setting the standards and protecting falconry so that it could grow and thrive across North America. There have been many challenges over the years: including prohibitive laws, the decline of the peregrine, and Operation Falcon to name only a few. NAFA’s informed, credible leadership has earned the respect of wildlife managers and legislators alike. 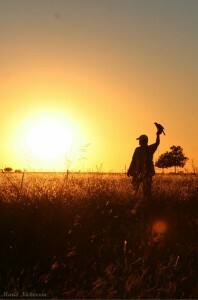 It has been instrumental in creating a legal environment that is the envy of falconers around the world! It is very unlikely that local falconry clubs, such as the OHC would have been nearly as successful by themselves in affecting the positive changes we enjoy today. Falconers are a tiny group. We cannot afford to be complacent, and we cannot afford to be divided! NAFA ready to ensure that falconry continues to flourish, but they need everyone — including you! NAFA partners with other organizations to conserve wild raptor and game populations. Members receive 3 issues of Hawk Chalk and one Journal every year. Beautifully illustrated, highly informative, “must-read” publications. The OHC is proudly affiliated with NAFA!